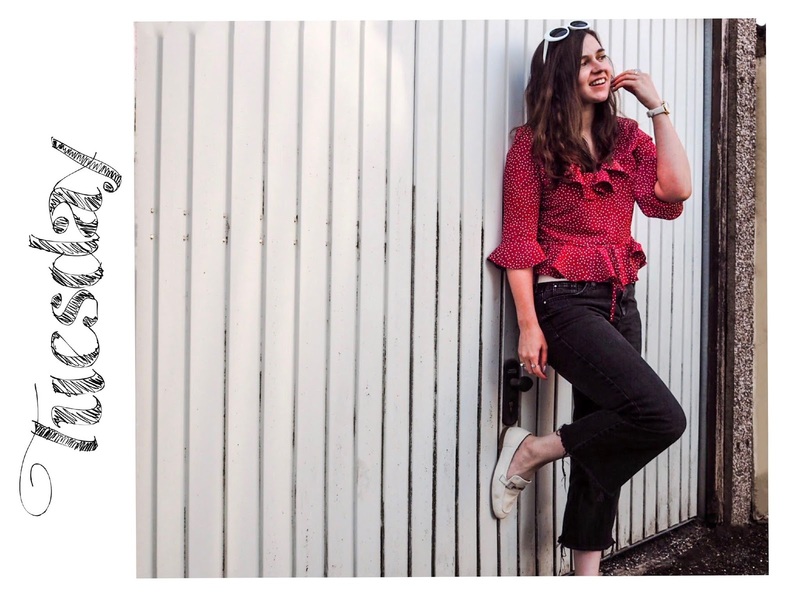 I really love sharing my outfits, but I feel like I don't really do enough of it here on the blog! And most of that is time constraints and feeling like I need to get a full shoot of an outfit for one post, but I don't really, do I? 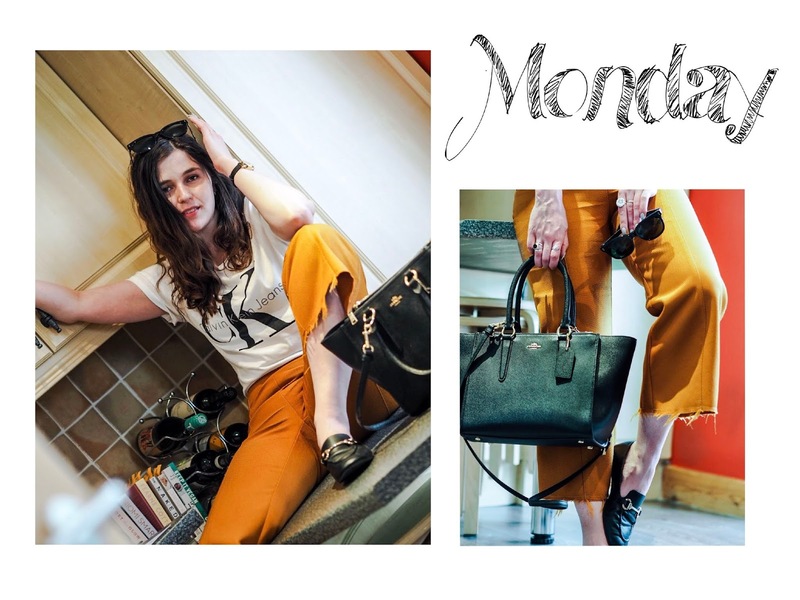 So I thought I'd do a little round-up of everything that I wore last week, Monday-Sunday, and who knows; maybe this will become a regular feature? Although we're currently in the midst of a, seemingly never-ending, heatwave, these aren't particularly summery outfits because Monday to Friday I was in work with little other plans, and my office is actually quite cool at the moment. We (obviously) don't have the heating on and we get no direct sunlight, so hello layers! I picked up these culottes last year and was DESPERATE to get the matching blazer, but alas, it was just never meant to be! The trousers are still a firm favourite though, nice and fitted and make the perfect bridge for smart casual. You'll probably be able to tell from this post, but I have a very relaxed dress code for work. This bag is my go-to everyday because I bloody love it, so although it doesn't actually feature in any other days, just know it was the one I used for 5 days. Pretty tops like this I find an essential for officewear! They're comfy and lightweight but still cover the arms (an essential for me, I hate my arms!) and make you look put together without having to try. Throw on some kickflare jeans and a pair of loafers and you're sorted! I don't make a habit of wearing suits for work, but when they're as babin' as this number they need to be worn as much as possible! I always dress them down so as not to look too formal in such a laid back office, so a logo tee is the best way to go. And yes I do wear these loafers A LOT for work; I mean, I do have them in 4 different colours! I finally got my hands on a pair of cowboy boots so of course I had to wear them straight away! Teamed with the comfiest jeans to ever exist and another pretty but simple top makes the ideal Thursday outfit. I don't think there's a week goes by where I don't wear dungarees of some sort? 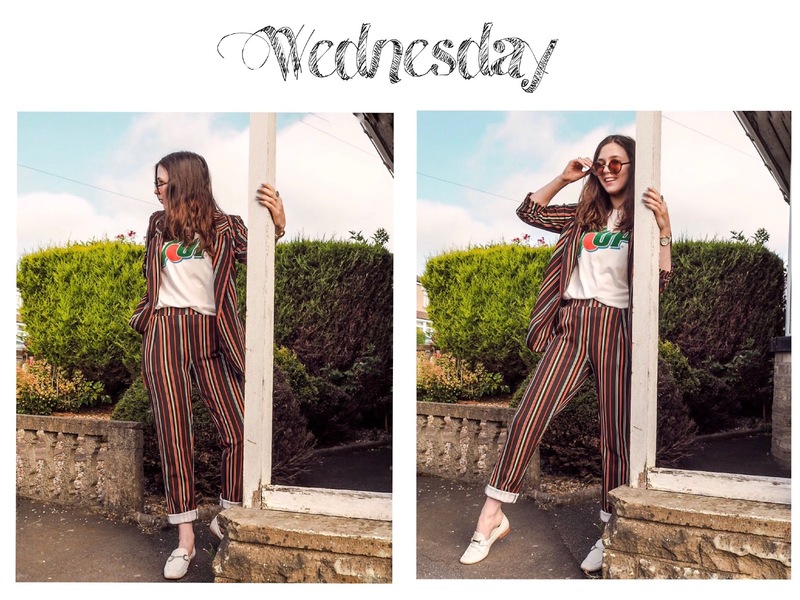 This week was this Monki pair that I picked up last summer and I am still very much in love with; they're the perfect fit and look great with stripes which is everything you could ask for in a pair of dungarees isn't it really? Also, this cardigan was very much not needed, I saw grey skies and got excited! 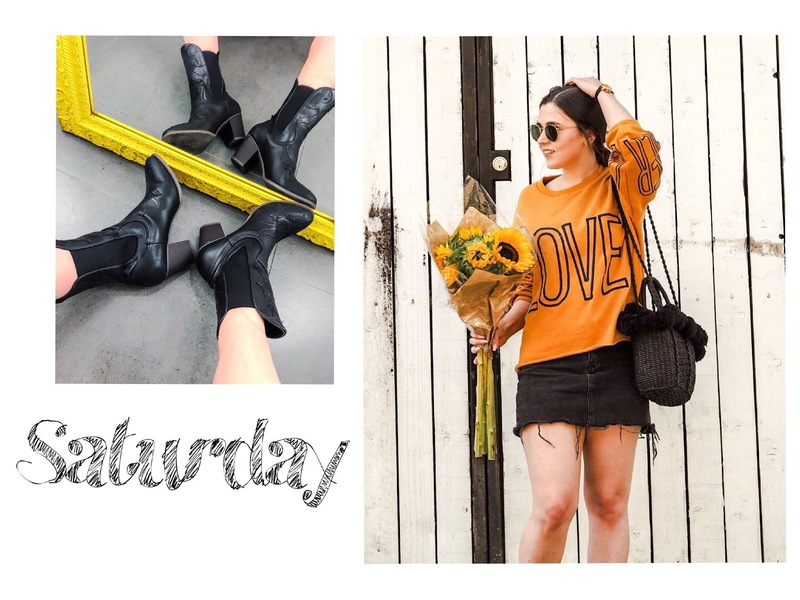 A very casual Saturday 'fit for visiting the garden centre, ice cream shop and supermarket! I picked up this jumper in the Zara sale last month and quite frankly couldn't wait for the cooler weather before wearing it! This denim skirt is such a staple in my wardrobe, perfect for all seasons with tights or not, I couldn't recommend more. When I have a Sunday with no plans I'm in my element tbh! 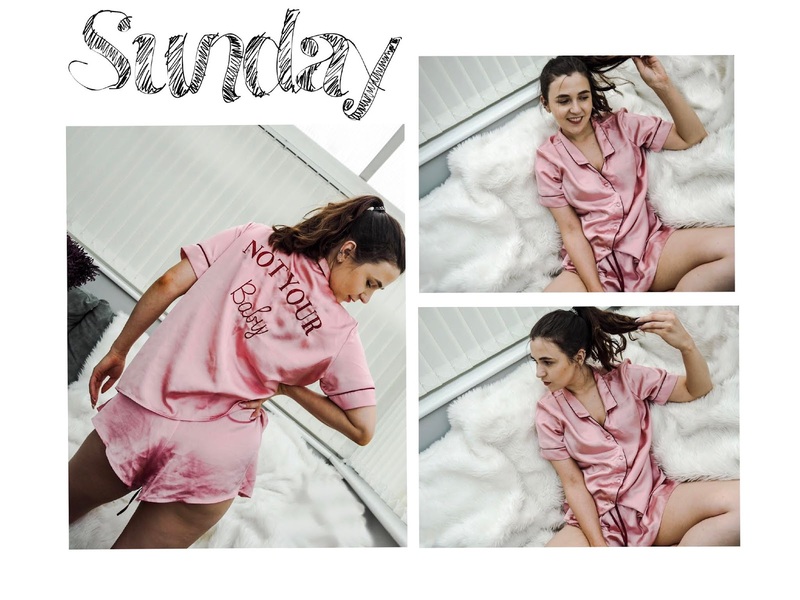 So wearing my most extra pyjamas I had a day full of cleaning, listing things on depop and planning things for the week ahead. Hope you liked this relaxed style post and having a nosey at what I wear in a typical week! Sorry that most of the clothes are no longer available, but I'm not going to constantly buy new clothes just for the sake of blogging really. Hauling, shooting and sending back ain't meeeee!